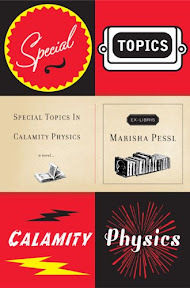 Books the Left Me with my Mouth Hanging Open [Top Ten Tuesday] – my books. my life. Once again, I only have eight titles for you today. I love this topic but it was surprisingly hard to think of books that fit (and I found myself not remembering the ending to a lot of books…). So these are the eight books I could come up with that left me shocked – either with a twist or a cliffhanger or something super dramatic. No spoilers really, but if you are severely spoiler averse, you might not want to even glance at the list. What book has your most jaw-dropping ending so far? 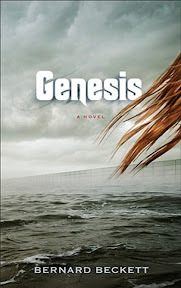 What do you make of the lack of YA books on my list? My mind is a total blank. I’d have to think very seriously about this topic. Maybe The Human Bobby? And this recent book club read Loving Frank. I know that it is a matter of public record what happened, but I didn’t know and it floored me. Great list. I’m like you I find that I don’t remember the end of books well. The first jaw dropping endings that stand out for me are The Double Bind and Sister. Oh yeah, The Life of Pi! I almost forgot about that one. I agree with Atonement and The Thirteenth Tale. Both of those had shocking endings. 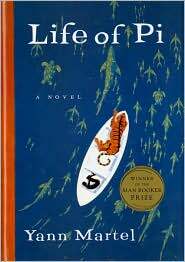 I never got through The Life of Pi. Oh, yes, I agree with a lot of these, and am excited to find Shades of Grey on the list, as I bought that one recently. The twist in Atonement had me doing the ugly cry. You know, the one where your face squinches up and you are just sobbing your guts out? Yeah, that was me at the end of Atonement. It is still my favorite book of all time though. And Ethan Frome! Oh my, what a twist. Such great things on this list today! Thanks for reminding me! 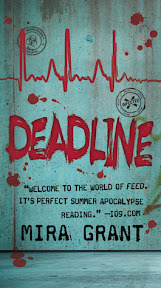 The end of Deadline was very unexpected. I can’t think of anything else I’ve read recently that left me surprised. Haha I only could get 8 as well…damn myself for picking such a hard topic! Totally agree about Atonement! I have had Life of Pi sitting on my shelf for FOREVER. I need to get to that. And I hate myself because I SOOOO LOVED Thirteenth Tale but I can’t even remember the ending to it! Reminder? Here’s my list of endings in books that left me with my mouth wide open! 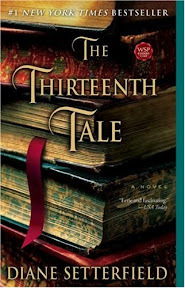 Good choice on The Thirteenth Tale! 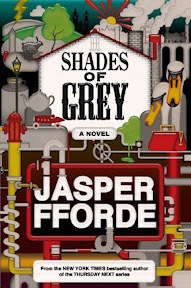 I love Jasper Fforde too but I haven’t yet read Shades of Grey – thanks for the reminder about that one! I loved The Thirteenth Tale & Life of Pi. The first jaw-dropping book that comes to mind, at least from what I’ve read this year, is Little Boy Lost by Marghanita Laski. So very good. 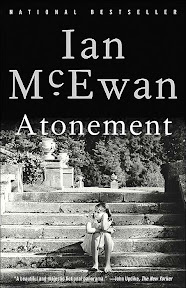 Atonement, totally – and The Thirteenth Tale. And, of course, the twist(ed) ending is what MADE the Life of Pi. The very first jaw-dropper I can remember reading was The Spy Who Came In From the Cold, when I was in high school – oh, these forty years ago!